Reassurance shield as 12/20 join US 45. 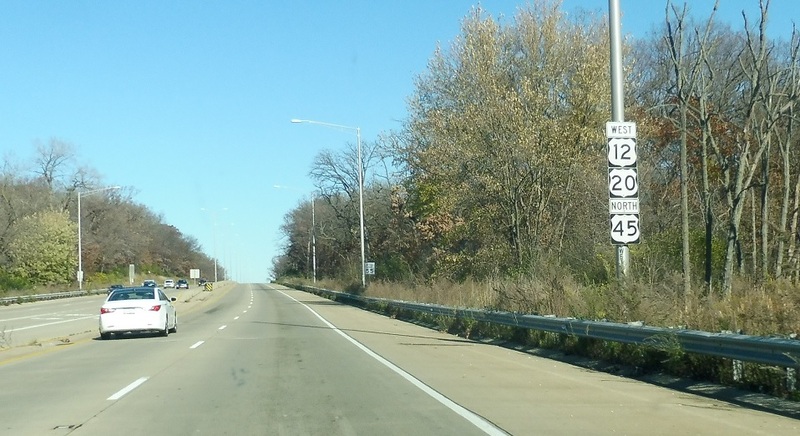 In a half mile we’ll approach the Tri-State and IL 171. As we approach the Tri-State we’ll enter Willow Springs. 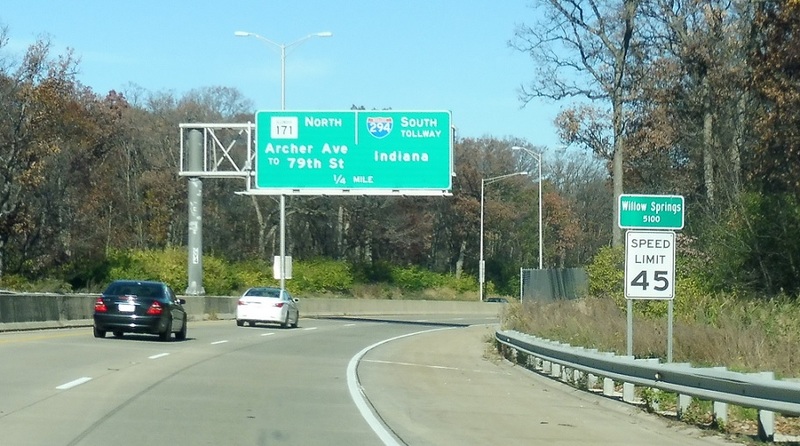 Exit ahead for 171 north and the southbound Tri-State. 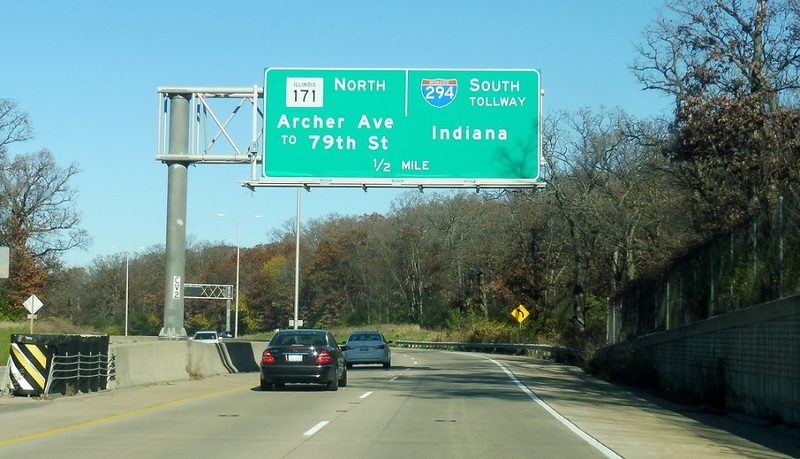 There’s no access to the northbound Tri-State. 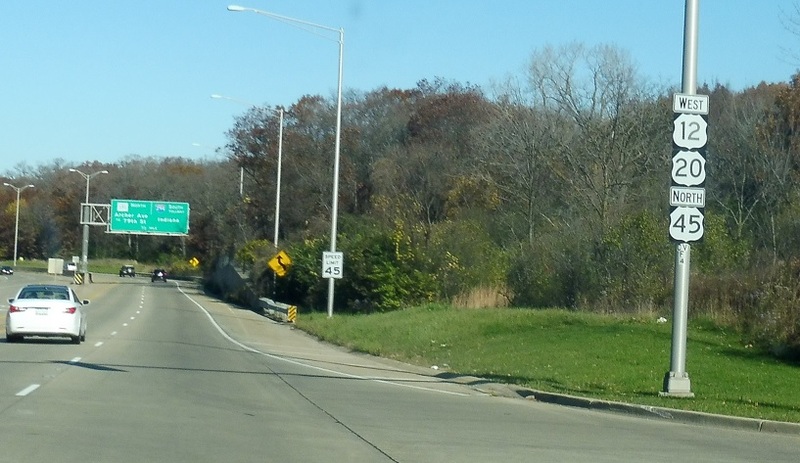 Exit for 171 north and 294 south. 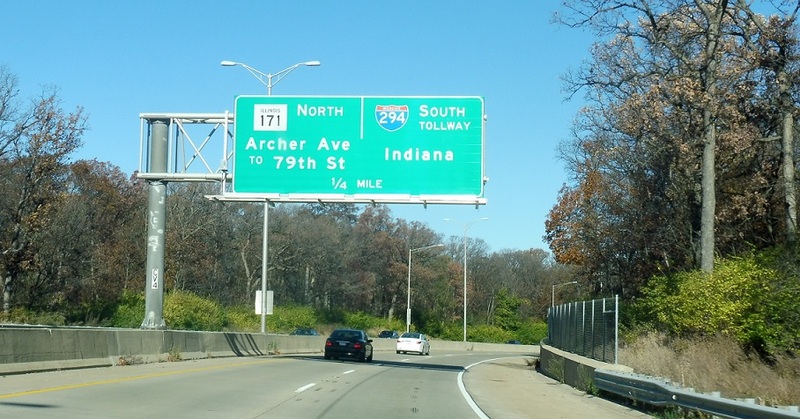 Exit for 171 south. 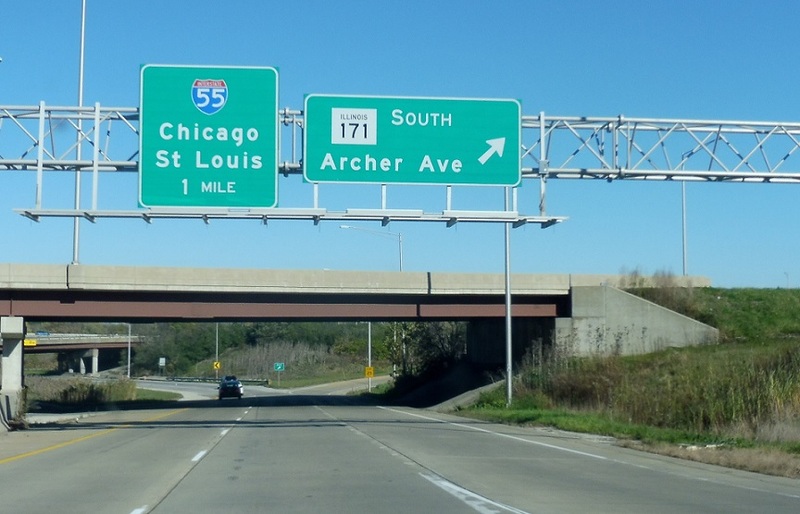 In a mile we’ll come to a junction with I-55.